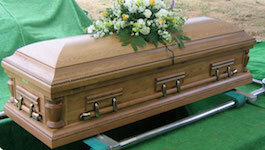 Planning a funeral is more than just planning the services. Choosing the right funeral products is an important part of the process of creating a fitting send-off for your loved one. At Thibadeau Mortuary Services, our selection of funeral products is designed to offer you the widest array of ways to pay tribute to your loved one. Just as each family is unique, so is their need for funeral merchandise. To accommodate the diverse needs of the families that we serve we have hand-selected our collection of funeral caskets, cremation caskets , urns, and personalized items to meet a variety of preferences and budgets. We choose our funeral merchandise based on the quality, craftsmanship, beauty, and affordability, and are certain that you will find something that meets your family’s unique needs. Our product catalog displays our funeral products, sorted by category, along with photos, descriptions, and pricing. We invite you to explore our funeral merchandise and take some time to explore the myriad of options available. If you are looking for a specific item that you do not see in our online catalog please let us know and we will make every effort possible to accommodate your needs. This page of our funeral home website is dedicated providing families with information about our funeral casket selection. We hope that you have find our online catalog of funeral merchandise to be helpful. Should you have any questions, or if you prefer to have one of our knowledgeable funeral professionals assist you with your selection, we invite you to contact us.